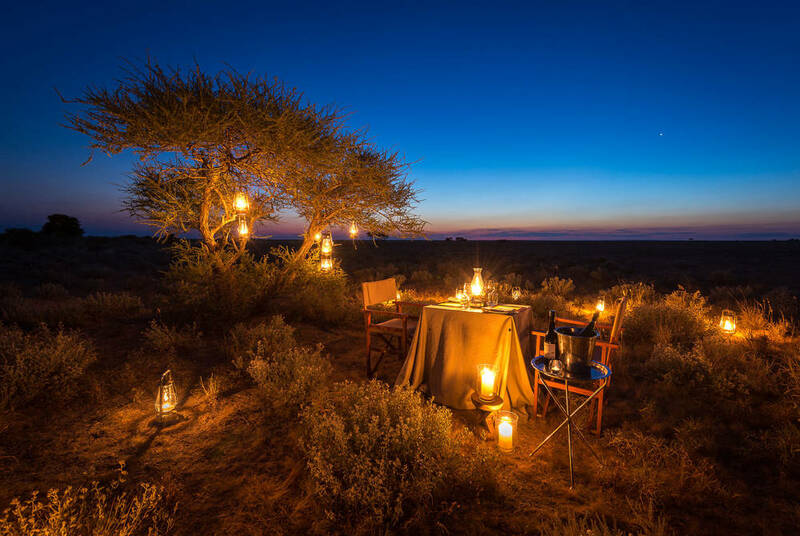 Remotely set in the diverse and productive Kalahari Game Reserve in the central part of Botswana’s Kalahari Desert, the camp is located in one of the largest conservation area in the world. Perfectly located to overlook endless horizons and skies, it is advised to fly to Maun or Kasane, followed by a short distance road transfer. Composed of eight en suite canvas units creating an intimate atmosphere, the rooms are built on raised wooden platforms and are comfortably furnished. 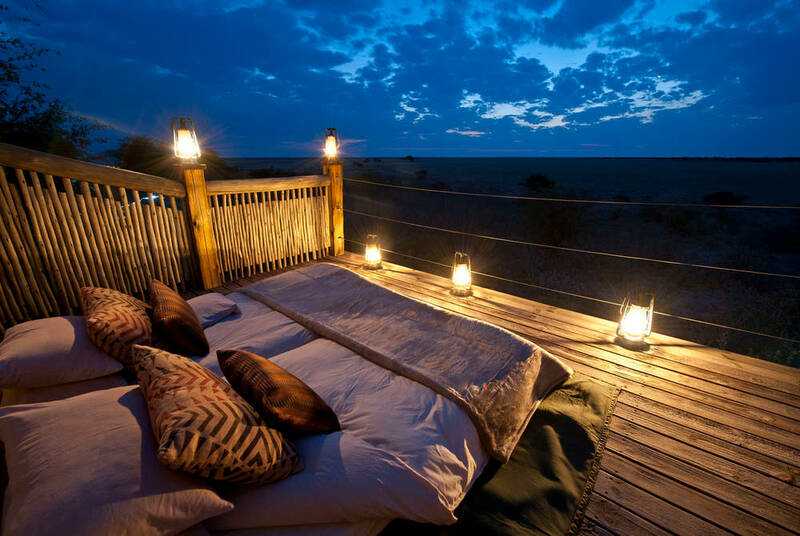 Beds face out toward the verandah, offering spectacular views of the plains. All rooms feature a sleep-out, allowing the option to enjoy moonlit and star-studded nights, with the possibility of ‘family units’, sleeping up to two children. Meals at Camp Kalahari are plated style, featuring interesting and delicious dishes from all over Africa. Twice daily game drives or full day excursions take place in open 4x4 vehicles and are directed toward the seasonal movements of wildlife. High concentrations of lion, cheetah and leopard promise exciting game viewings, with general game including wildebeest, steenbok and smaller predators. 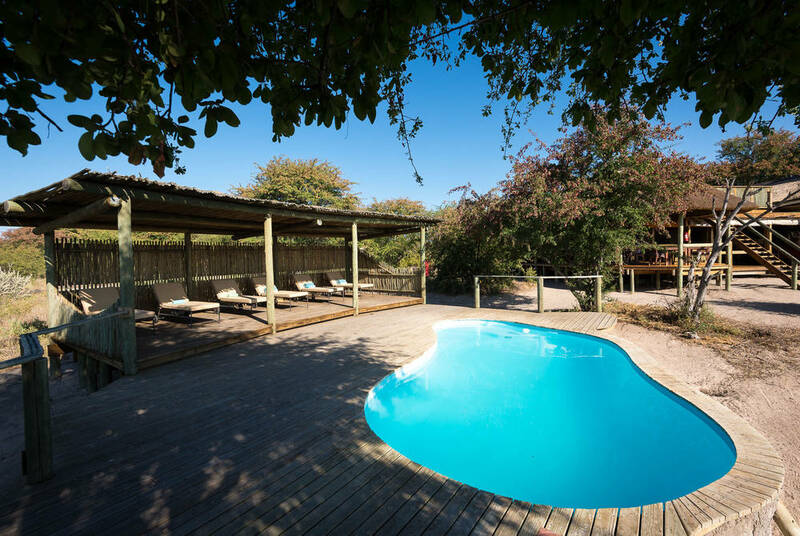 Birding is often popular, with 220 bird species recorded, alongside Bushman walks, star gazing and relaxing in the salt water swimming pool.